Superdry men’s Winter Training zip hoodie. With thermal properties and a soft fleece lining, this zip hoodie will keep you warm in colder temperatures. This hoodie is made with stretch technology, which enables it to move with you. 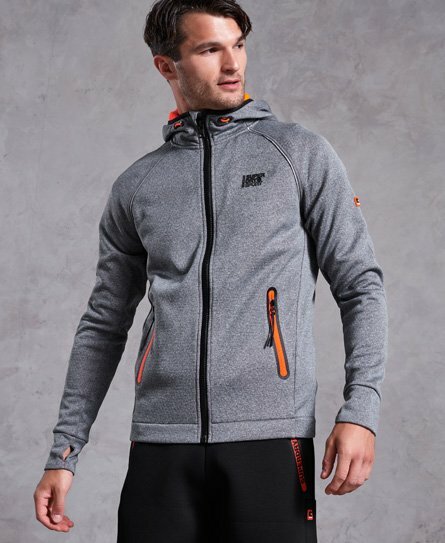 The Winter Training zip hoodie features two front zip fastened pockets, a bungee cord hood and reflective detailing for better visibility in low light. This hoodie is completed with large Superdry Sport branding down one sleeve and small, rubberised logos on the chest and other sleeve.